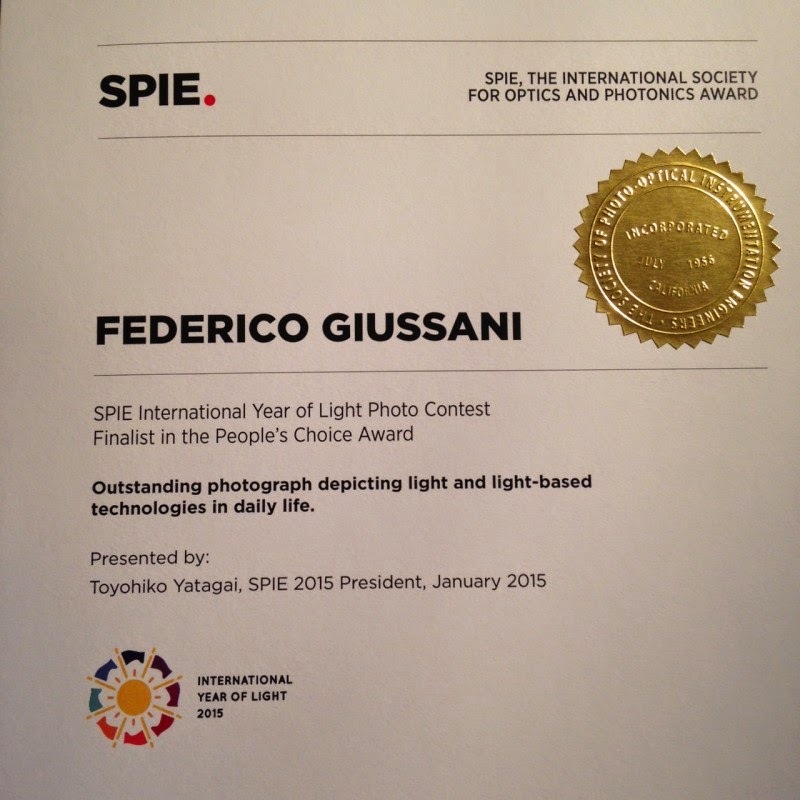 Felice e soddisfatto di essere arrivato in finale tra i migliori 32 in tutto il mondo con una mia fotografia per il concorso SPIE International Year of Light Photo Contest 2015. 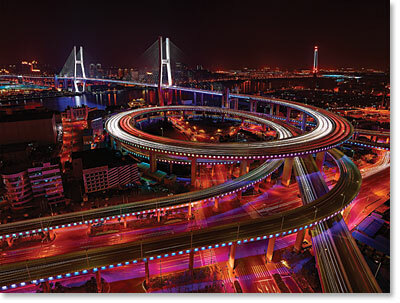 British photographer Paul Reiffer’s 35-second-exposure image of lights on and around the Nanpu Bridge in Shanghai is the winner of the SPIE International Year of Light Photo Contest. 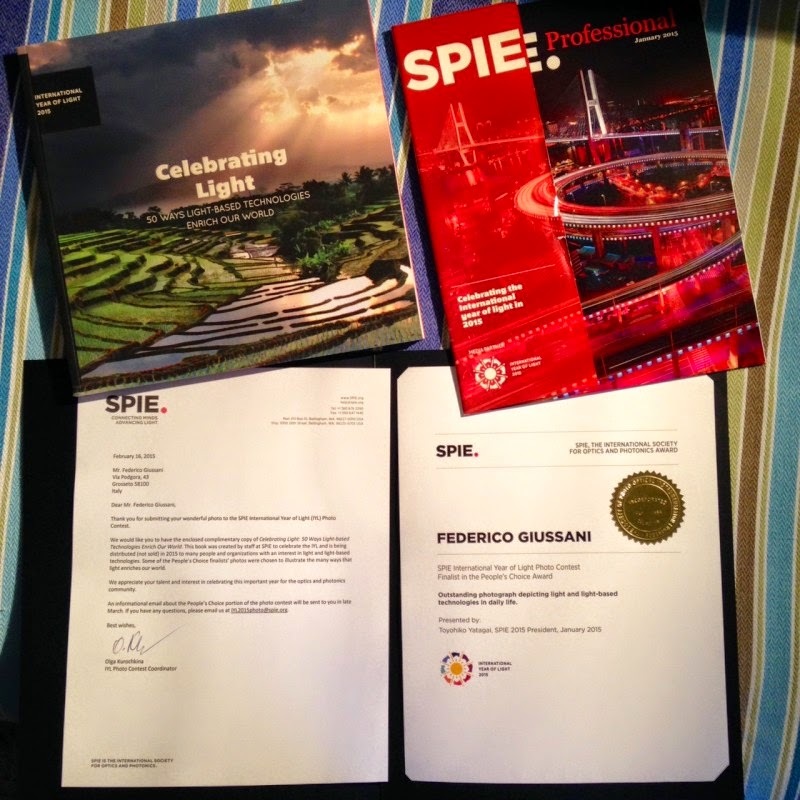 The depiction of what Reiffer called a “rainbow” of LED lights was selected from among nearly 800 images submitted to SPIE for the contest in 2014. Via Lattea sul mulino di Tefia, Fuerteventura. Foto esposta nel gennaio 2014 nella Galleria Cedav Arti Visive Grosseto. The judges also selected 32 images as finalists for the contest’s People’s Choice Award. Members of the general public and the optics and photonics community will vote on their favorite photo from among these finalists later this year. 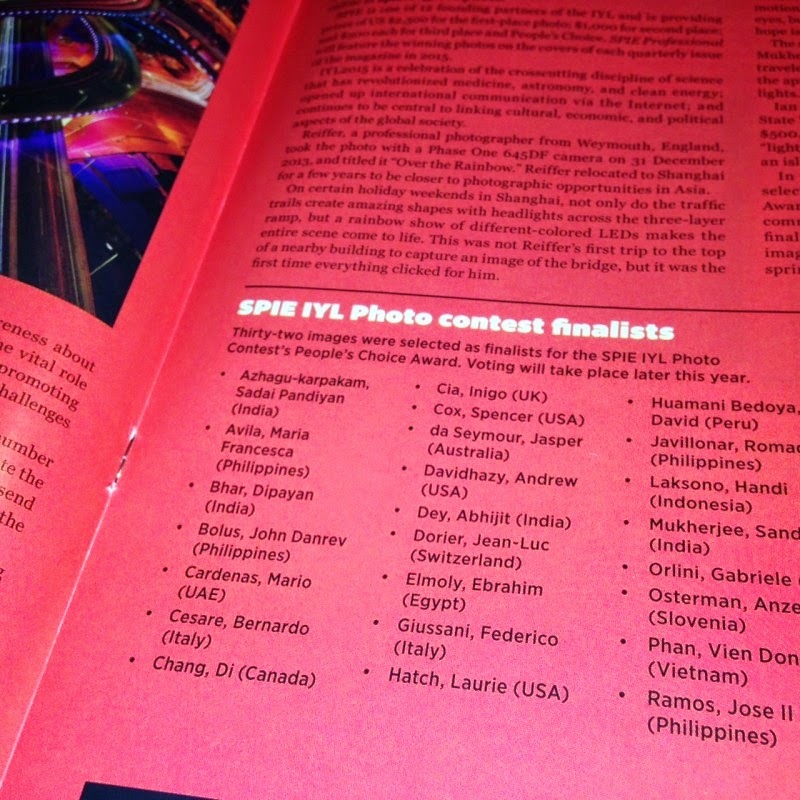 Details about voting on and viewing the images in the People’s Choice competition will be announced this spring.